In the historic Martin Luther King Jr. Elementary Building. 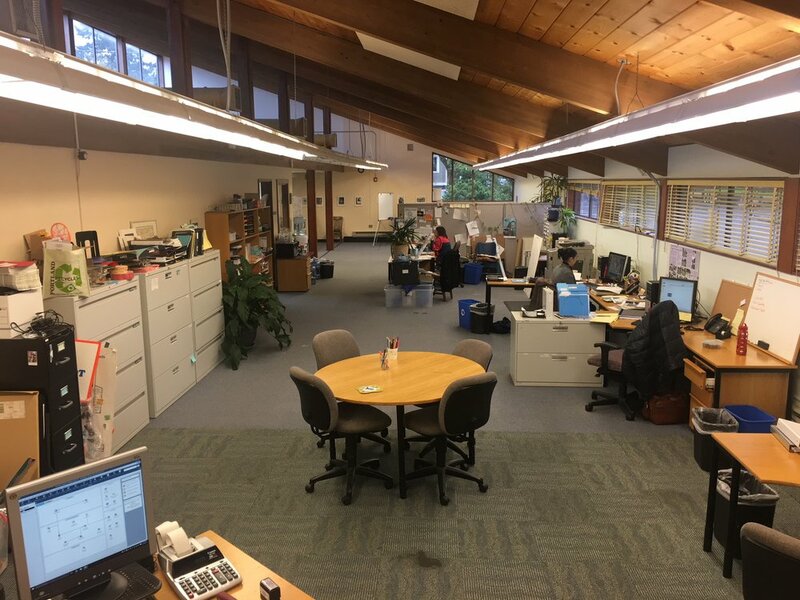 In addition to running our operations from here, we host year-round workshops and events, as well as provide office space for several other community organizations and small non-profits, such as Good In The Hood and the Northwest Indian Veterans Association. If you are an individual or community organization looking for a low-cost space to hold meetings or host a workshop, contact us to schedule a meeting time, inquire about space availability, or with any other questions regarding using our meeting space. NECN has conference space that is available for use during regular office hours and after hours. The space has a maximum capacity of 50 people for a stand-up event, and about 30-40 for a sit-down meeting. All NECN events and activities take precedence in the use of the space, and availability is subject to change. We strive to provide reasonably priced meeting and conference space to nonprofit organizations and community groups. To continue to provide resources to the community, NECN charges a $25.00 fee for use of the conference space from 1 hour to 4 hours, and $50.00 for use of the conference space from a 4 hour to 8 hour timeframe. The maximum use of the space is 8 hours. Set-up and clean-up time must be calculated into the time the facility is needed.